Guest Post: Taking good care of our body and health is imperative, and people are increasingly getting inclined to natural remedies and alternative medicine. You probably have already heard of mangosteen and even cannabidiol as “miracle drugs.” Another health trend today is cassia oil. 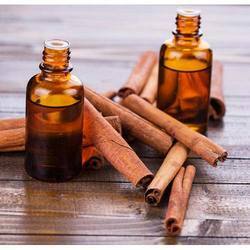 If you’ve heard of cassia oil but didn’t try it because of doubts, it is completely normal. This article will help enlighten you to the various benefits of cassia oil, especially when it comes to the interesting ways that this oil can help you in achieving a healthy lifestyle. 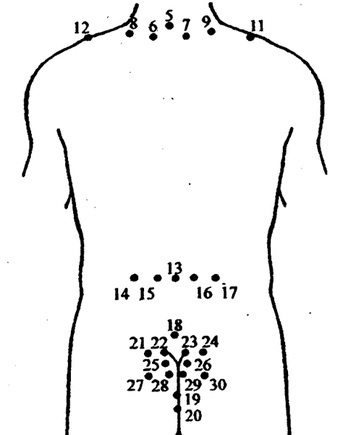 Look at these points used in leech therapy for regulating hypertension. Not shown are points behind the ear– the same area acupuncturists use to bring down high blood pressure. The other points are located at bottom of neck and top of shoulders in the back, also around the tail bone. According to the most recent report from the National Center for Health Statistics, Americans spent $33.9 billion on integrative therapies in 2007 — with most of the money coming out of their own pockets, since the majority of these treatments aren’t covered by insurance. That figure includes fees for about 354 million visits to complementary and alternative medical practitioners, and it represents about 11% of total out-of-pocket expenditures on health care. Hospitals offer most of their integrative therapies on an outpatient basis, usually at designated centers at or near the hospitals. The treatments are typically aimed at relieving symptoms of serious or chronic illness: A physician might prescribe acupuncture to a patient battling nausea caused by chemotherapy, for example, or recommend massage or meditation to help reduce anxiety and stress. Although research supporting the efficacy of complementary therapies is increasing, “hospitals wouldn’t have much to offer if they confined themselves to procedures supported by [American] medical evidence,” says a senior health policy analyst at the Rand Corp. in Santa Monica. So hospitals choose based on what they judge to be most effective and what they believe most patients want. If you google “posturology” you will find athletic coaches in the USA, Canada and Europe who are training athletes to reach their full potential. In Clearwater, Florida, the aims are different. People in pain are being helped and their body structure reeducated. Paul St. John is a “neurosomatic educator” who works with body alignment. His view is that form and function are interdependent. His school gives seminars around the country and many of the referrals to their pain clinic in Clearwater come from dentists, who need to find successful ways to reverse jaw bone loss. Doctors, massage therapists, chiropractors, and others are coming to realize a cure cannot take place unless posture is addressed. It’s amazing the healing that is possible when energy and circulation are brought back into proper alignment, when the subtle flow of vitality moves in the right direction through acupuncture meridians. Have you ever tried to pet a cat, from the tail to head, against the natural direction of fur? You might get scratched. There is a healthy direction to circulation following natural pathways. Re-establishing that comfortable direction brings many benefits. I recently gave a massage to a man who has had a stroke. He can neither speak nor move his arms and legs, but he can hear me. His TMJ trigeminal neuralgia makes it impossible for him to speak or make sounds without violently twitching his cheek muscles. His pain and tension cause insomnia. Doctors have prescribed drugs to help revive consciousness, but he could not speak partly because of spasms and pains in the jaw. After the massage he relaxed and fell asleep. Slowly his body will learn to speak and move again as neural connections are re-established. This Valentine’s day, stay warm and cosy inside. Love is Oily, Sweet, and Calming like a healing massage. The Sanskrit word sneha can be translated as “oil” and “love.” Ayurvedic health experts believe the healing effects of abhyanga–Ayurvedic oil massage–are like being saturated with love. Oil massage gives a deep sense of stability, comfort and warmth. To promote wellness, a fifteen-minute self-massage of the entire body using a warmed oil is recommended daily before a warm bath. It improves circulation, reduces pain, and promotes complexion beauty. But couple massage given with love promotes a feeling of protection and intimacy. Do you seek a bright, strong direction in life? Chinese acupuncture sports medicine techniques activate the body’s natural healing powers. Die Da, an effective trauma medicine used in China by martial artists and warriors, involves the traditional treatment of sprains, strains, breaks, bruises and injuries to ligaments, tendons, muscles and bones. For thousands of years it was the most common form of treatment for trauma and orthopedic medicine and today it is practiced in traditional Chinese hospitals. Zheng Gu Martial Arts Sports Medicine are continuing education workshops presented by acupuncturists, martial artists and authors Tom Bisio and Frank Butler. See their fall 2009 teaching schedule for California, Montreal and New York. The New York seminar is December 5 and 6. Here are many suggestions for at-home complexion and massage treatments. Have fun. Don’t try them all at once! 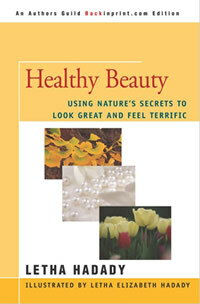 They are suited for individual complexion types and health/beauty issues that I explain. I have linked to a number of product sources. But you can find the ingredients in your local supermarket, health food store or online. . . Caring touch brings people closer–especially when done with a smile, a soft word and warm hands. Massage helps normalize circulation, firm muscles, replenish nerves, and improve skin tone by bringing oxygen and blood where needed. You will enjoy the spicy aroma and luxurious feel of treatments inspired by mother India. We enjoyed the annual Asian Cultural Festival held the first weekend in March at the Fruit and Spice park in Homestead south of Miami, Florida. Sponsored by the Thai-American Association, many booths featured Asian cuisines, gifts and household items, clothing, and travel information. Among Asian cultures represented were China, India, Philippines, Thailand, Bangladesh and Laos. Lovely women dressed in shimmering costumes danced, sang, and wandered through the park with their families. Martial artists whirled, jumped, and kicked in mock combat. Asian massage therapists did their wonderful thing. The Fruit and Spice Park, open year round, features most tropical trees and bushes, including all my favorites–banana, loquat, canestel, mamey, star fruit and many more.